Have you heard the latest Disney news?! 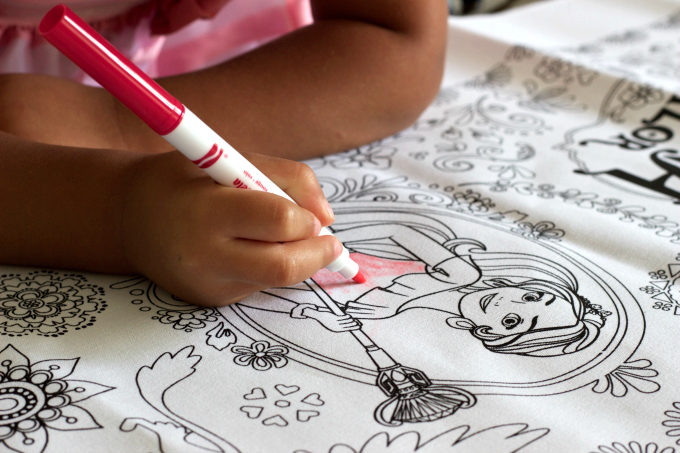 If you haven’t heard by now, Princess Elena of Avalor is making her debut. 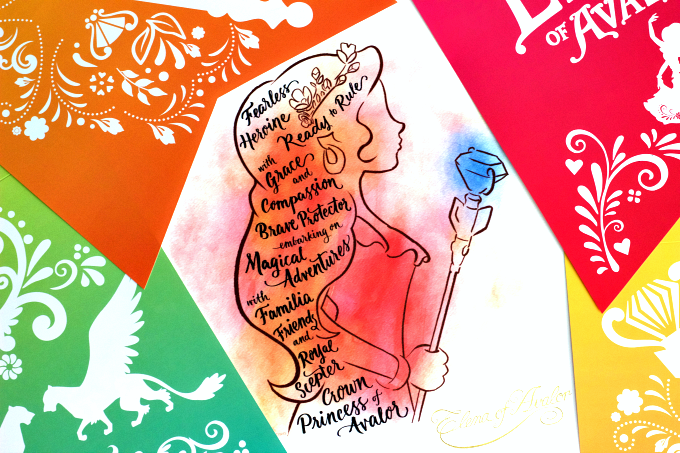 She is the first Disney princess inspired by Latin American culture and folklore. My toddler is a HUGE fan of all Disney princesses, but I was thrilled to learn that this princess is Latina. Why? Because now my daughter has a princess that she can relate to. So what do we know about Princess Elena? Princess Elena is fierce, and we will have the opportunity to see her in action in order to take her rightful place as Crown Princess in the kingdom of Avalor. She will also learn to boldly lead with bravery, courage and compassion. All with the help of her younger sister, Princess Isabel, her grandparents, Francisco and Luisa, and her friends by her side. 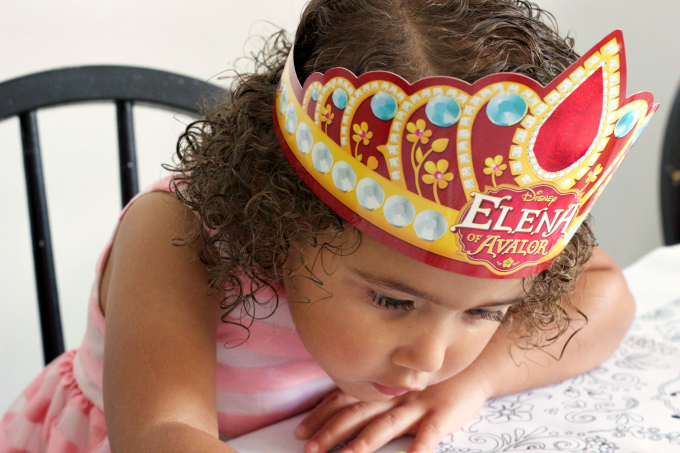 To celebrate the royal debut of Disney’s newest princess, Elena of Avalor, we are having a little fun of our own. My daughter is so excited about the show’s premier, that she has dubbed herself “Princess Elena of Avalor”, in her adorable 2-year old voice. She’s been walking around with a crown, and wants mommy to put on her “princess dress”. We’ve also taken some time to have fun with arts and crafts, so we can have them ready for the big premier. Aside from all the fun and dress up, I want my daughter to understand that Princess Elena is teaching her some great life lessons. That she should love her familia unconditionally and always do the right thing. That it’s OK to be bold and stand up for what you believe in, but still have compassion for others. I want her to know that she should be proud to be a Latina, and that she should value her Latino culture, but also embrace the diverse community she’ll grow up in. I’m thrilled that the show will be a great way to reinforce these important lessons. 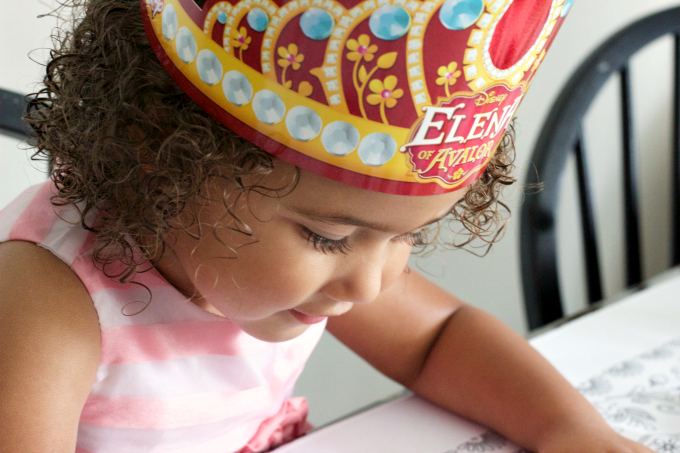 You can also follow Princess Elena’s journey on Facebook and YouTube. Or join the Twitter Party this Thursday July 21st at 8pm ET/5pm PT by following the #ElenaOfAvalorTwitterParty hashtag! Watch Elena of Avalor every Friday at 7:30pm/6:30c on the Disney Channel! There will be new episodes so your kids can always come back for more #ElenaofAvalor. she is gorgeous and her hair …beautiful!! !